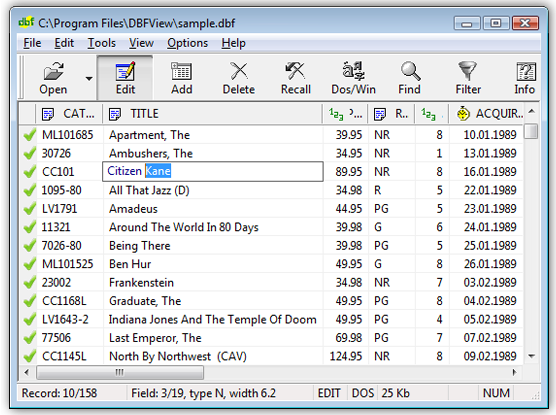 DBF File Viewer is a compact but powerful tool for viewing, editing, and printing DBF-format databases. It supports dBase, Clipper, FoxPro, Visual FoxPro and other DBF formats. DBF File Viewer makes working with databases simple and hassle free. It's very useful and reliable tool to view database files. Satisfactory performance.